TOMS RIVER, N.J. (WPVI) -- Police in Ocean County, New Jersey have arrested gymnastics coach who allegedly sent pornographic images to a 13-year-old girl. Toms River police say the investigation began after the girl's mother found the images on her daughter's Instagram account. 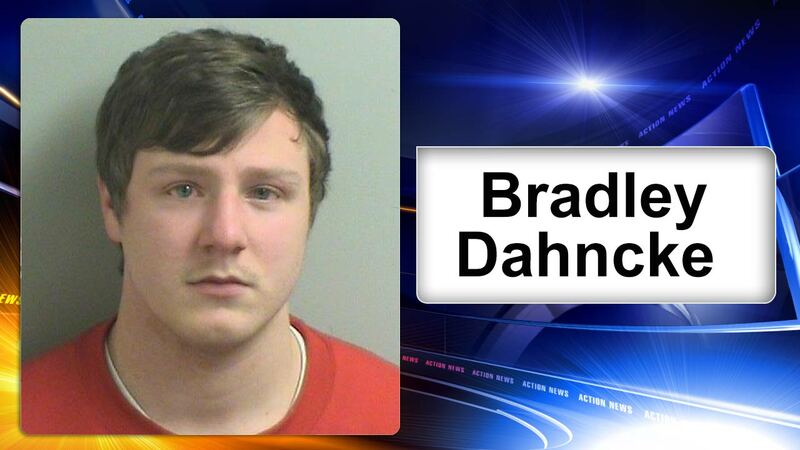 Investigators accuse her coach, 19-year-old Bradley Dahncke of Jackson Township, of sending the images. Dahncke worked at a private gym in the county. He has since been fired. He has been charged with seven counts of distribution of pornographic material to a minor. Police say there is no indication that Dahncke had any physical contact with the girl. Investigators say any parent who may have concerns about their minor child having contact with Dahncke can contact Detective Jon Turner at 732-349-0150 or by email at jturner@trpolice.org.